The Supreme Court, on Monday, stayed the proceedings pending before the Delhi and Bombay High Courts challenging the constitutional validity of imposition of 12% Goods and Services Tax (GST) on sanitary napkins. The Transfer Petition filed by the Centre was heard by a Bench comprising Chief Justice of India Dipak Misra, Justice A.M. Khanwilkar and Justice D.Y. Chandrachud, which also issued notice, fixing a returnable date within four weeks. The Petition before the Delhi High Court has been filed by Jawaharlal Nehru University PhD scholar Zarmina Israr Khan, seeking "recourse against the patently discriminatory and illegal treatment being meted out to the women of India by the unconstitutional and illegal imposition of a Goods and Services Tax at a high rate of 12% on sanitary napkins". Her Petition asserts that the root cause of approximately 70% of all reproductive diseases in India is poor menstrual hygiene. 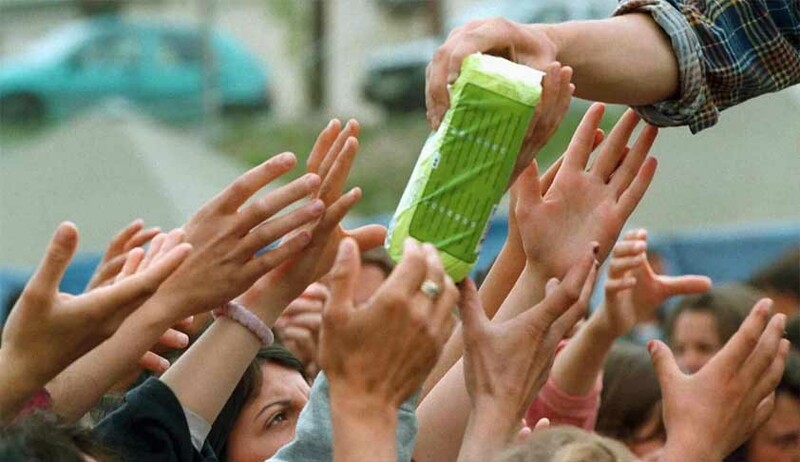 Pricey sanitary napkins, it says, would prevent more women from exercising menstrual hygiene and would hurt their health as well as the economy. Therefore, demanding that the GST on sanitary pads be quashed, she contends, "All types of contraceptives, including condoms have in fact been subjected to a ‘nil’ tax rate under the GST. The action of the Respondents amounts to ensuring that a woman is liable to pay tax on her inevitability to menstruate, a biological process that is inherent in women. Such an action, at best, represents a palpable nonchalance to the every-day reality faced by women in India, and at the worst, represents a parochial and misogynistic mindset". (a) Only 12% of India’s 355 million menstruating women use sanitary napkins. (b) Over 88% of women resort to shocking alternatives like unsanitised cloth, ashes and husk sand. (c) Incidents of reproductive tract infection (RTI) are 70% more common among these women. (d) Inadequate menstrual protection makes adolescent girls (age group 12-18 years) miss 5 days of school in a month (50 days a year). Around 23% of these girls actually drop out of school after they start menstruating.